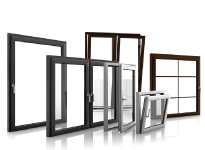 We supplying various materials and parts for residences, such as aluminum window frames and outer wall panels, metal parts for doors, as well as seismic materials for buildings. 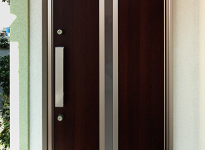 6000 series metal alloy has excellent extrusion performance and corrosion resistance, and it looks good too! It is used for making window frames. 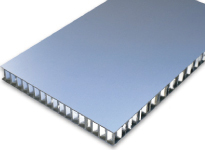 Aluminum is lightweight, strong, and easy to process so it is widely used for building components. 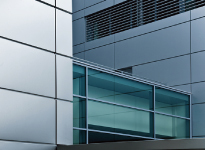 We also have colored aluminum with a preliminary coat on aluminum plate.We also have baked-on polyester, acrylic, and fluorine agents for aluminum plates, as well as embossing and clear coating. Coating and surfacing processes, such as anodizing, are also available. 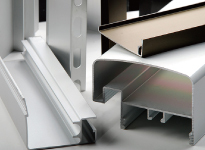 We also supply manufacturers with our aluminum after it has been laminated into composite aluminum and resin plates.These composite plates are extremely durable, rigid, and quite workable.Thanks to their good appearance, they are often used for interior and exterior walls of houses and buildings. 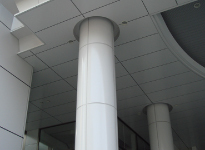 Honeycomb panels are lightweight and strong, so it is often used for buildings and large construction projects that require high strength and light weight at the same time.